As we again approach the time of the harvest as well as the time of balance of night and day, I share with you my experience of meeting my first Teacher. As I was never blessed to meet Father Paul in the flesh, (not in the flesh is another story) my first Teacher was Master Isjesian. She came to St. Pete when I had been in the Order for a matter of months, she was 20–I was 20; she had acne, I had acne. I remember being in awe of her, and when I was around her there was so much power that my body would shake. She had a love for the Master that just was overwhelming to me. How could she could be so alive and in tune at such a young age? She spoke to me once about Father and described him as this old man who had tobacco stains down his chin and on to his robe, and she could sit with him and see this, yet know that he was the channel for the Master here on earth. I struggled at times with her, just as all good students do, but I knew she was the real deal– when I could just let go and let the Light shine. I was taught how to cook by her–as I was assigned to the job the day the former cook was loading her things into her mother’s car and leaving. During a time in my life when I was facing a serious health issue she pushed me into trying to heal myself. Finally, when I had tried as best I could, she called upon Father Paul and I received the most miraculous healing of my life. She administered my life vows, had me sew my house robe, assisted when I was ordained into the Priesthood, and continued to be an influence on my life through hard times and good. Though the Order when off in another direction led by her husband, it is my understanding that she did not go that same way, a voice of silence as I understand it. About two years ago I was in Forestville and had her address, and drove up to her home on a long windy, steep road that was not paved. Her car, (I believe), was parked next to the house. I approached and knocked several times but there was no answer. On the porch there were child games, probably for grandchildren. I was disappointed, but as I reflect on it now it follows the pattern of just missing Father Paul as well as just missing her as she transitioned recently. This lesson tonight is really going to be a lecture on the ways of man in this solar system, and a little bit of the understanding of initiation. To begin with, let’s first evaluate the ways of God, and His action with man. God draws us to Him in three different ways, more or less: first by being His creatures, second by His voice–which is really the voice of the Word and authority used in creation, the voice in the soul which you ofttimes call consciousness, conscience, when an eternal Truth mysteriously suggests itself to you. You say, “Well, I thought of it. This is something that came to me.” This is a reality, this is true, but it comes out of your Self from the eternal Mind, the Mind of the Father. What triggers that might be most anything that might trigger this. It could be–what triggers it could be good, it could be something which is not good–but many things are triggered through evil acts, even, which are good. That is, not the evil act is good, but it brings out something good in the individual. It is not necessity to have an evil act to bring out something good, but sometimes this happens. When the eternal Truth mysteriously suggests itself, as happens frequently, and very often this happens during morning sleep, in that period in which you are, you would call just about to awaken but you really aren’t awake yet. You’re not too conscious of things around you, you’re not too cognizant whether you are awake or asleep, but you’re kind of betwixt and between, you might say. And third, without resistance or means, when the will is quite subdued. By this we mean that when you go into meditation voluntarily, for instance, and you have taken instructions or you are doing it because you have been instructed to do it. You are doing it because you are a brother in the order, for instance … and you might be working with a Buddhist monk or a Buddhist teacher. It wouldn’t make any difference to the laws and the ways of God, as long as you were seeking and in need of this, whatever it might be–this idea, this rule, this law; it would work just the same. Because God’s laws and rules and the Truth are not made just for Christians, as they call themselves; they’re made for all people regardless of what the faith, what the approach, what the school is. They’re made for that, because they are made for His living creation, and He created all of us, whether a Chinese, Japanese, or white or black, that doesn’t make any difference. So therefore His laws and His regulations, His ways and His methods are for all people. This is why, in this order, we say we go through the center, through the center path to God and to attainment. 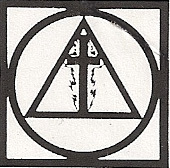 We follow neither the occult school nor the mystic school, but a combination of both of these, a straight path through the center. We use that which is applicable to the day, and the thing which we are trying to attain or the initiation which we are trying to attain. …..Because the cosmic has a habit of, once you have come into this earth and declared what you are going to learn, of seeing that you get there. And the Brothers will see that that’s done. It may be to put somebody in your path that will oppose you. It may be to marry a woman that will make you wash the dishes every night, and it may be that you will have six babies that are squalling constantly. But I assure you that the physical people and the physical things not only which work to build obstructions that are hurdles that you have to go over, but other things that will help you to go over those hurdles, if you will to do it. And this is the way with initiation, in the life sense. There is a higher form of initiation in the lower heaven world, or the world beyond, and this takes place also. Now these aren’t fantasies. And let’s get this home: you’re living in a world of reality. There is no such thing as an unreal world, so let’s get that cleaned out of our mind. There’s only one difference between heaven and this place, and that is that it is not as dense and it does not have the imperfection to it that this does down here. And it follows the laws of creation and it’s just as real, it’s just as fundamental, it’s just as materialistic as this is down here, when you speak from that standpoint. It is just as solid when you’re there, as this is down here. Life is continuous. We have spoken, the Master has spoken about continuous life, life eternal. He was not just “flapping his gums”, as they say here on this earth. And that’s just about the size of what you people sometimes take it for, and it isn’t true. This is a realistic place, where there is realistic living in another form, and I want that truly understood. … because many times people have these ailments or acquire a condition that has an ailment that serves as a hurdle for them to get over, because there are things within them that doesn’t want to hear what is said about certain things. They may not be conscious of it always, they may not be, but they exist. I know that I’ve seen many students that when I talked in a certain vein about certain things, that particular thing, they’d always get drowsy; and when they’d, anything else, be totally wide awake. And they’re really sincere seekers. They weren’t conscious of it until I broke it by working with them personally; that’s the truth. You’d be surprised what that inner man, that ego and the will, how they gain control of the physical side of an individual. And that’s what initiation is for; and one of the things that happens in initiation is control of some of these things. These are the objectives that you are trying to gain. And the initiation, when it happens, is to open the door so that you can manifest and gain this particular thing as you climb what is referred to in the Testament as Jacob’s ladder. Just as a, one of the degrees of initiation is to learn the direction of the will-power in one of the initiations, to understand it and learn its use, and then to get over that hurdle by actually doing it willfully yourself, by your own determination, not affected by other things around you, you see; I mean circumstances, all these things, you see. This is all part of what you might call the life-stream of initiation to the average individual. Then we go to those people who, like the Masons, try to learn the purpose of the Masonic order, to learn the uses of the law and the Word, both in the material world and to manifest this and to help other people learn these things, to help man to help himself. That’s one of the great slogans of their order. Which is very fine, because if you don’t help man to help himself, he isn’t going to get anything out of it. We’ve seen that in today’s world, that actually giving money to people for charity in emergency is all right occasionally. But when you’re put on the poor list or whatever they call it, this is no good. Because that will not help him not to be poor. You’ve got to teach him. It’s ignorance that makes a man poor, nothing else. You see what I’m driving at? This is part of initiation. You have will, or you will be at some time at a place where you will have to pick yourself up by your own bootstraps, so to speak, to raise yourself up. And this is part of it, you see. Q: Next time I get sleepy, Father, I’ll stretch. that is only for those that wish to take command of other peoples’ will and use them. Oh, I’ve been accused of this, many times. You see, I know. 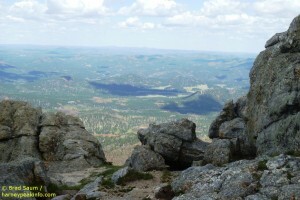 A little over a year ago, a state commission on place names in South Dakota recommended that the highest peak in the state — Harney Peak in the Black Hills of southwestern South Dakota — be renamed Hinhan Kaga, the original Lakota name for the mountain. The name means Making of Owls and comes from rock formations that look like owls. But that recommendation was set aside by the state when it was supposedly determined that there was no public consensus on whether to rename the mountain. In South Dakota there is a strong current of opinion that names (as well as things in general) should be left as they are and that changing them is just political correctness. 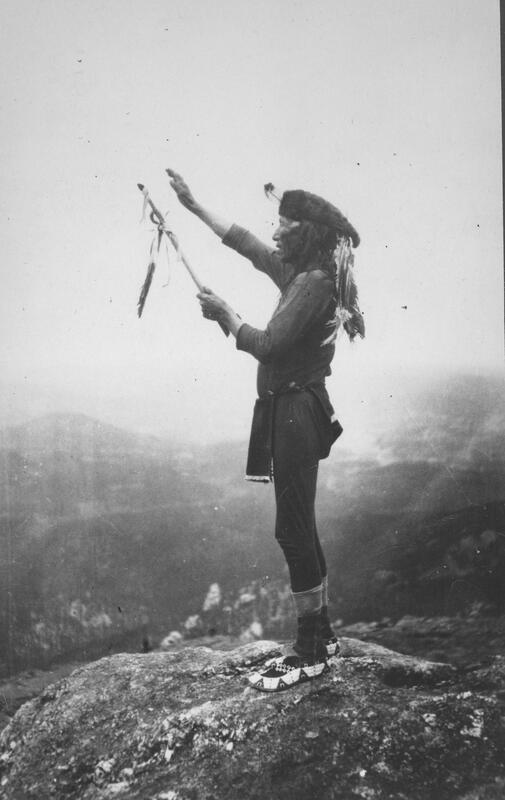 But today the US Board on Geographic Names had the last word on the matter and decided to change the name to Black Elk Peak after the legendary Lakota visionary and spiritual leader. Hinting at the Grail legends. The ancient ones were six or seven. During the enlightenend ages they have appeared as Teachers. Civilization is unfolding though a predestined plan; no creed or doctrine, with disciplines only for internal growth. ~~Re theories of evolution and creation, both might be true. If man evolved, having been created long before Biblical records claim, he may possibly have lacked a soul other than the more instinctive or animal-like group-soul consciousness. God breathed into Adam (already a man) and he became a living soul, an individual with a conscience and powers of intelligent choice. ~~Daily we look into a mirror to groom and make ourselves generally presentable to others. But how often do we look at ourselves in a spiritual mirror to think how we look to the eye of spirit, to God Whom we seek to please above all else? ~~When we reach the heaven world, there should be no problems relating to dress or appearance, no exteriors to worry about. But then we have to be presentable inside. We must be prepared for that time when the Master knocks at the door to come in and sup with us. ~~It is assumed that records are being kept in heaven of everything that is said, thought or done by you and me. Don’t suppose that the Host sits up there and writes in a little book everything that millions of us are doing, every minute. No; the records kept there are not “books in the sky”. They’re not spelled out in English, French or Chinese. The heavenly record of each person is indelibly imprinted on his own soul, that part of him that will live on after the body is gone. He carries with him not merely facts concerning his actions. God is more interested in his heart, the thoughts and intentions, as well as the deeds. For he may make many mistakes, but if he means well, it is the inner intent and consciousness that count more than statistics. In the greater picture, perhaps after a very long time in other states of being, as we progress to higher consciousness, any unnecessary imprints may gradually fade into obscurity. ~~It is supposed that our souls are made up of the distilled essence of all that we are and have been, and will grow as we progress from life to life and more is added. no longer caged in with his wantings. but the creator of it. If we have any desires that are evil, they are a result of our own wrong understanding and wrong attunement with conditions around us and not of any evil spirit within us. The more we attune ourselves with the higher and beautiful things of life, the less the sordid or unbeautiful will appeal. Temptations to yield to the negative things will not come to the one who is highly attuned, and he will not have to attempt to suppress the desire. If you find there are urges or tendencies within your personality that are undesirable from a Cosmic point of view, do not attempt to suppress them, for that is like hanging a blanket up against the window in order to keep out the light. As long as you attempt to suppress the light, you may not have any of it; but you do not affect it one iota by shielding yourself from it, for it never diminishes in quality or strength by being screened. Rather than suppress undesirable tendencies, give no thought to them at all. Do not yield to them but neither fight them. Center your mind upon the more desirable things in life and let them grow so strong and great that they will keep you occupied and hold the center of your attention. Now analyze your present day self and see wherein there are little traits of character, little traits of personality, that you are suppressing. Take them out of the trunk in which you have tried to keep them prisoners and air them well, and look them over; and then instead of putting them back into the trunk of suppression, send them on their way out of your life, just as you would do with any intruder who came to your home. If you found your home suddenly occupied by some undesirable persons who appeared to be evil tendencies in your midst, you would not think of locking them up in a closet and trying to suppress their activities while you went on with your affairs, but you would try to find out why these tendencies or these characters had come into your home, and then after acquainting yourself with them, and perhaps making it plain that they were undesirable, you would have them dismissed from your presence and sent on their way. I vow to set my thoughts upon things I value and spend my strength in the fulfillment of noble purpose.